Let Boating Headquarters’ on-site certified technicians give your boat a comprehensive checkup. We routinely perform: tune-ups, repair outdrives and gearcases, and perform minor maintenance tasks like winterizing your boat, or preparing it for your first Spring trip. Remember to ask about our Spring and Fall Service/Maintenance specials! 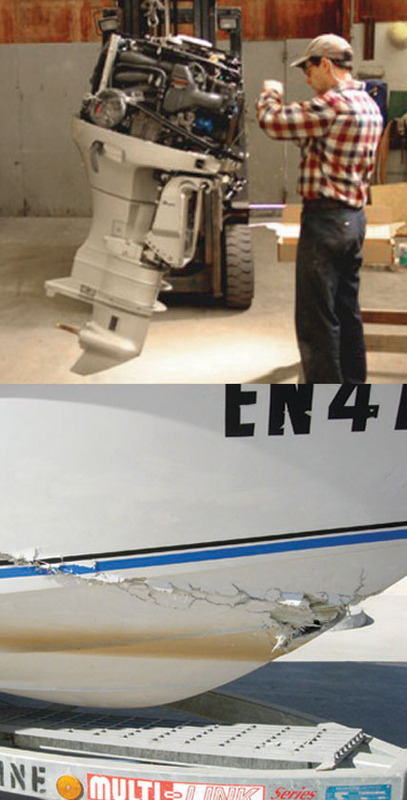 Minor repairs can be undertaken throughout the year and keep your boat looking pristine. If completed early enough, maintenance can clearly save expense in the long run as it may be possible to repair rather than replace, if not, then sometimes the only option is replace at considerable additional cost. Boating Headquarters takes great pride in updating our service and repair certifications with the latest technologies. Our fiberglass expertise lies at the heart of our operations. From a scratch to a crash, we can make it better than new. We are a Factory Authorized Fiberglass Repair Shop for many manufacturers. We hope to earn the same trust from you as we have from our manufacturers. We know the finish on your boat is extremely important. We can match your gel coat colors or metal flakes like it just came from the factory. Even if all you need is an industrial buffing to restore your finish, we can do that.